Tributaries Cable new T100 and T200 ($350 and $500 respectively) feature extensive capacity by providing a cumulative power availability of up to 1800 watts. The new models incorporate a new Metal Oxide Varistor (MOV) surge suppression technology that provides faster response time and increased absorption (up to 60 percent more current during a spike) over traditional MOVs. Key among the advantages of the new MOV design, is its ceramic casing-providing far greater protection from failure and offering faster heat dissipation so the accumulated temperature remains low. Also, because the temperature stays low during a spike, the lifespan of the new type of MOV lasts 10 times longer than a standard MOV. Additional surge suppression is provided for telephone connections and RF signal paths specifically designed for cable, satellite or antenna devices. The T100 and T200 also provide over-voltage and under-voltage protection. Blue front-panel LEDs display the on/off condition of each outlet, while a digital voltmeter shows the AC line voltage (the T200 also has a digital ammeter). The T100 and T200 will automatically detect a polarity fault in the AC wiring and alert the user via a front-panel LED. For added convenience, both models are supplied with additional unique features; a circuit breaker reset button on the front panel, USB charging outlets on the front and back panels and a USB gooseneck light that can be plugged in front or back for equipment illumination. Dual-trigger input and single-trigger output 3.5mm jacks are provided for convenient connection and easy daisy-chaining of additional power managers or power strips. The T100 and T200 are both fully RoHS compliant and feature a three year parts & labor warranty in addition to a $25,000 warranty on connected equipment. Dynaudio Focus 110 A ($2450 per pair) is an actively-powered loudspeaker and follows the company's non-active model 110 ($1500 per pair). The Focus 110 A is optimized for normal rooms and true audiophile applications its integrated power amplifiers that feed 50 watts to each of the two drivers for 100 watts of total power per unit. The 110 A can be partnered with a conventional two-channel pre-amplifier in a stereo system, or used in conjunction with an integrated amplifier featuring pre-outs or a computer. The 110 A could also be utilized in a multi-channel system, in tandem with a surround sound processor or even with the processor of a home theater receiver featuring pre-outs. A specially coated soft dome tweeter and the MSP (magnesium silicate polymer) mid/bass driver with its distinctive diaphragm come together with sophisticated dual-amplifier technology to form this unique active loudspeaker. As a bi-amplified design, a 50 watt amplifier powers the midrange/bass driver and a second 50 watt amplifier powers the tweeter. Enjoy the Music.com has reviewed the Dynaudio Focus 110, which can be seen by clicking here. The Koala Tube CD player ($2296) by Goldenote is exquisitely handcrafted in Italy and features a drawer-type transport designed for excellent rotation stability. This unit includes a dual-tube output stage, an internal digital-to-analog converter and Goldenote's latest digital technologies plus its acclaimed Zero-Clock filter and Electro-Power power supply system. The CD player is claimed to deliver a sound that "is natural, vivid and alive. Its exceptional sonic performance is achieved at a reasonable price, yet comparable to CD players costing considerably more." Goldenote's Zero Clock technology improves performance by eliminating jitter and clock errors, and includes a very sophisticated digital output filter. Electro Power is the first self-adjusting voltage supply to appear in a consumer CD player. Checking itself 50 times a minute, it enhances audio performance through an innovative current generator that stabilizes micro and macro voltages, delivering a precise and smooth voltage along all signal paths. It guarantees perfect control of the laser pick-up and motor mechanics for disc rotation, with speed fluctuations of less than 0.0001 percent. The Koala Tube's internal DAC is Burr Brown model with 20-bit resolution. As truly balanced player, the Koala Tube also includes balanced XLR outputs, and a balanced analog audio output stage made with two Electro Harmonix 6922 vacuum tubes. In addition to the XLR connections, the rear of the Koala includes analog RCA outputs, a digital S/PDIF output, and an IEC power socket. Burton Technologies, a global developer of specialty product solutions, announced the unveiling of Acoustbuds earphone adaptors ($12.99) that claim to dramatically improve the acoustic quality, fit and functionality of standard earphones sold with iPods, iPhones and most MP3 players. With all of the unique shapes and sizes of ears, achieving a proper fit without discomfort is a challenge. John Burton, company owner, said "The surprise came when the twin cone core idea was added for high-fidelity acoustics and in combination with the exceptional sound isolation created by the multi-barrier fins." The internal design embraces acoustic horn methodology as sound waves flow from the speaker driver and are transferred through a converging cone into a transition area that fits snugly inside the ear. Sound waves then move into a second diverging cone and gradually into the ear canal. This internal structure is augmented by external fins that provide a multi-barrier sound isolation seal and unparalleled retention. Thin and flexible silicone rubber fins and angled design assure optimum position and contact within the ear, conforming to contours and allowing for a comfortable fit. The result is said to be increased comfort and maximum retention, even with intense physical activity and excessive perspiration, appealing to both athletes and audiophiles alike. The Acoustibuds include two sizes of noise-isolating earphone adapters and storage pouches, available in white (click here to buy) and available in black (click here to buy). DaVinciAudio Labs began in the 1980s as music lovers and engineer Hans-Peter Gabriel was in search of a suitable turntable. A precondition was that his turntable must be able to play all kind of music genres in a perfect way. 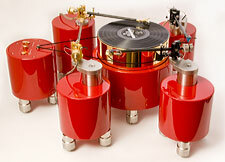 At this time he owned three tonearms and few cartridges, with an idea to have three tonearms bases on one turntable. Add to that, the idea of a magnetic bearing fascinated him, and so the first Analog Audio System (AAS) Gabriel turntable was born. The current Model 3 has been largely developed by DaVinciAudio that features special bearings, motor, motor controller and feet. The advantage of the magnetic bearing is that the 57 lbs platter of the vertical bearing will 'float' and, thus, the noise transmission is largely avoided. The base and tonearm pillar are built of specially-filled plywood board while the motor is milled from aluminum block. The entire system rests on carefully developed vertical damping feet. The entire system weighs in at over 300 lbs! The Audio gd DAC-100 USB DAC ($340), distributed by Pacific Valve in the USA, is a very high-value for the dollar unit with USB and S/PDIF input plus upgradeable discrete OpAmp. Dale resistors are used throughout as well as EVOX RIFA oil capacitors, with electrolytic capacitors sourced from England's NOVER and are specially made for Audio gd. The USB processor is a Burr Brown PCM2702 that outputs via I2S bus directly to the Analogue Devices AD1852 DAC. The S/PDIF (RCA coax) feeds a Cirrus Logic CS8416 receiver and is capable of 24-bit/192kHz sampling rate. The very sturdy power supply employs a shielded 50W transformer that feeds fours power capacitors. Frequency response is from 20 Hz to 20 kHz and maximum output voltage is 2.5 Volts RMS. The Audio gd also offers their CIA-400 Current Audio Signal Transmission (CAST) based Class A solid-stsre stereo amplifier. CAST parallel current transmission techniques are employed, a tailored current gain module BPM7130 was developed, and this dual mono design is claimed to be extremely neutral in sound quality. At the input stage, the audio signal is in voltage mode to then be transformed into current mode through the gain stage to the output stage. If the input signal is of CAST mode, it will reach the gain stage directly for CAST signal amplification. Zero overall feedback in used as are a total of 32 high power transistors rated at 15 Ampere working in Class A. Parallel regulated power supply, as are a pair of toroidal 650 Watt transformers and 120,000uf of filtering capacitors, ensure clean electrical per to reach the critical analog amplification stages. The Audio gd weighs in at over 90 lbs. Enjoy the Music.com has posted Part 5 of photojournalist Rick Becker's CES / THE Show 2009 report. This update spans three pages and features many new products with photos and in-depth descriptions. You can see Rick Becker's Part 5 of his CES / THE Show 2009 report by clicking here. Enjoy the Music.com's daily Industry News updates are now available on my.MSN.com. Users of the highly popular MSN page can add Enjoy the Music.com's daily high-end audio Industry News to their content preferences. Reaching tens of millions of viewers each month, my.MSN.com provides a variety for information to consumers on a daily basis. With well over a decade of developing innovations, Enjoy the Music.com has a longstanding history of enabling our content to reach the widest possible audience. These innovations over the years include, but are not limited to, push-pull content to the desktop, Wireless Application Protocol (WAP), custom bookmark graphic for browsers and iPhone users, plus the world's only customized Internet high-end audiophile browser. Users of my.MSN.com will be updated each day with important high-end consumer audio industry news and events. In addition, they can easily click on the appropriate link to ascertain additional information on each topic featured. "As the only audiophile magazine to offer such diverse availability of content, today marks an important achievement in furthering the accessibility of high-end consumer electronics information to consumers all around the world," said Steven R. Rochlin, editor of Enjoy the Music.com. "With a recent study showing tremendous double-digit growth in sales of high-end entertainment system in the coming years, naturally consumers may seek product news and reviews before they make their purchase. Once again the internationally critically acclaimed Web site Enjoy the Music.com is here to assist our readership in choosing the best product that fits their needs. We are continually expanding our information-based Web site and now provide over 100 show reports from around the world plus hundreds of equipment and music reviews combined within our Superior Audio, DIY, and Review Magazine. Enjoy the Music.com is the Internet's largest Web site for independent high-performance audio information, news, and worldwide show reports." You can easily learn how to add Enjoy the Music.com to your my.MSN.com page by clicking here. Bassocontinuo Audio Systems has released their Regale Phono stand to meet the needs of the most discerning music lover. 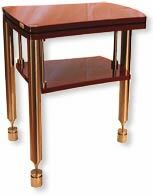 As an anti-vibrations table for prestigious sources (analog or digital), an additional lower shelf can hold external power supplies, accessories or other items as needed. While quite expensive, this Italian-made stand is for very exclusive customers and from order to delivery can be from one to two months. Aware of the very important problem of the vibrations, especially for the sources, the company examined every details during the design. This includes the total height being at 80 cm with a leg diameter of 60 mm. The legs are produced from solid stainless steel that is hand finished and have adjustable spikes to ensure a perfect leveling. The upper shelf is 60 mm thick and has a sandwich structure made of MDF and nitride rubber. A floor decoupling system consists of a hollow cylinder containing shock absorber with different harnesses. The Regale Phono is currently available in a soft touch black ADE finish and in three different piano lacquered finishes that include Borea white, Pearl black and Bassocontinuo red. Each complete table weights in at approximately 200 lbs. 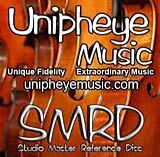 Unipheye Music has announced their release of Studio Master Reference Disc (SMRD) technology said to "bring the listener one step closer to sitting in the same room with the musicians." SMDR are Ultra-High Resolution, actual digital copies of the original master recording delivered to the listener on data-only DVD-R discs that will be uploaded onto a computer or computer music server and played from the computer directly through the music reproduction system in the home. Audiophiles have long known that CDs of modern music are highly compressed from 24-bit/96kHz or higher resolution digital master tapes. Naturally this significantly degrades the sound quality from the way in which it was recorded in the studio or concert hall via down-sampling. "Our excitement is electric and contagious" says Ira Norman Segall, owner and recording engineer for Unipheye Music. "A closer digital experience to actually sitting in the room with the musician has never been able to be offered to the end listener. Computers have provided us with the beginning of a new era in the living room music appreciating experience. This is the first time ever, in the history of music production that the listener can purchase so perfect a representation of what was originally digitally recorded, for playback in the home." In spite of gloomy predictions from many quarters, the HIGH END 2009 can again boast an abundant and impressive line-up of international exhibitors. International participation, at roughly 32 percent of currently registered exhibitors, underscores the impressive international acceptance of the fair. The lion's share of international exhibitors comes from Europe, with particularly large contingents from Italy, Switzerland, France, Denmark, Austria and Spain. In turbulent times, when standing still means losing ground, a trade fair must reflect current market trends. In 2009, the HIGH END will again feature traditional technologies, precision mechanics and electronics products that transform listening and seeing into unforgettable experiences. From turntables and tube amplifiers to high-end home cinema systems, we've got it all. Whether you're looking for an exclusive design object or an inconspicuous element to blend into the environment, our exhibitors present the full range of options. Yet the industry is also marked by dramatic developments that have brought dynamic new technologies to the fore. Few things have changed as much as the ways in which we consume music. Buying music by downloading it from the internet has changed the music industry with astonishing speed. MP3 players have taken the world by storm, allowing music enthusiasts to download music in non-physical form. For those who remain in thrall to uncompromising sound quality and the look and feel of music media that you can hold in your hands, the new technologies have often left something to be desired. Yet major changes are afoot in these areas as well. Computer technology now plays a substantial role in nearly all areas of life, and the high-quality entertainment electronics industry is no longer an exception. Until now, the quality was just not quite good enough. For one thing, the quality of sound files continues to rise. While resolution today is often 128 Kbits/s, the trend is heading upwards to 256 or even 320 Kbits/s. Higher data transmission speeds, greater memory capacities and the vastly higher resolution of digital music files now enable outstanding sound quality. Now even smaller music labels such as Chesky-Records have made it possible for customers to download titles in excellent sound quality. Once the bane of music aficionados, modern digital technology now offers the promise of an even brighter future. Quality is back on the map - technology is just the means of getting there. Our exhibitors are no strangers to these developments. Numerous manufacturers of these new technologies have already registered to exhibit their wares at the HIGH END. Exhibitors will be presenting multimedia systems, hard disk storage devices and recorders, music servers, media storage devices and network drives as well as music archives that enable interaction between recording media and digital files. The variety of technologies on display has to be seen to be believed. Burson Audio PI-160 solid-state stereo integrated amplifier ($2500 AUD) produces 85 wpc @ 8 Ohms (168 wpc @ 4 Ohms) in Class AB. 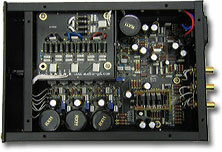 The development of the company's second generation Burson Regulator technology plus a selection of new premium components, Burson Audio claims that "the PI-160 is able to enhance overall clarity, yet maintains the original sonic texture that is almost tube like, and adored by audiophiles all over the world." After five years of ongoing research and development, the next generation of Burson regulator was created. This is coupled with a new 380W transformer that has less than 3.5W core loss that is specifically designed for high-end audio use. The PI-160 has three sets of stereo inputs and a pair of loudspeaker outputs. The case is constructed from high precision machined aluminum and reinforced by laser trimmed stainless steel connectors. Frequency response is from 10 Hz to 250 kHz (+/-3dB), THD is 0.01 percent and the unit weighs over 35 lbs. For those who still listen to FM radio, Densen has launched their third generation of the company's B-800 FM tuner. Densen has improved the design in several important areas within this latest version "to perfect the performance even further." In the B-800mk3, the front end is a completely new design that is hand calibrated before each unit leaves the Densen factory. Further to that the user can calibrate the front end in two steps, to match it perfectly for various signal levels. Internally the front end is encapsulated, to avoid high frequency interference with the delicate audio circuits. The power supply contains a custom-made transformer, and Densen's own capacitors with a total capacity of 20.000uF making the B-800mk3's power supply rather unusual for a tuner. Furthermore, users can upgrade the power supply with Densen's DNRG external unit. The B-800mk3 contains the possibility of upgrading with a DAB module, however Densen has decided not to launch such a module at present, since Densen Head Honcho Thomas Sillesen feels that DAB sounds "to poor." The analogue stages are Class A with no feedback. The unit is available in silver or black casing. Enjoy the Music.com's February 2009 midmonth update includes new articles within our Review Magazine plus the posting of Part 4 of Rick Becker's CES / THE Show 2009 report! Within the Sound Practices section, a new article concerning magazine reviews says "Considering the vast possibilities of the written word, it is unfortunate that every major audio magazine these days follows the strictly-commercial "formal review" format. Sure reviews bring in ad revenue and, true, most readers do like to read about new gear. Granted that some review content is both necessary and desirable, one can still argue that large circulation mags could be a lot more than just show reports, endless reviews, recommended component buyers' guides distilled from reviews, and pricey four color ads featuring quotes from reviews in fancy italics...."
We have also added a new article from the prestigious and longstanding Boston Audio Society entitled The Listening Room. Within this article it says, "Roy Allison gave an in-depth discussion (replete with equations and graphs) of the most-ignored component in everybody's stereo system, the component that interposes itself between your speakers and your ears: the listening room. The analysis of room acoustics involves three topics: resonances, absorption, and the reverberant field...."
See the February 2009 Review Magazine midmonth update by clicking here. Enjoy the Music.com has posted Part 4 of photojournalist Rick Becker's CES / THE Show 2009 report. This update spans two pages and features many new products with photos and in-depth descriptions. You can see Rick Becker's CES / THE Show 2009 report by clicking here. Grant Fidelity, a Canadian and United States distributor with strong ties to China, has officially become the agent for three well-known Chinese high end audio brands — Jungson, Shengya and Opera-Consonance. All three companies have well over 15 years of history in OEM high-end audio for North American and European brands. Jungson is said to be China's #1 Class A audio manufacturer with flagship solid-state amplifier's power up to 200 watts per channel. Shengya's products have been distributed worldwide under the brand of Vincent since 1990s and have earned many industry awards. Opera-Consonance is China's only high-end turntable manufacturer with worldwide recognition, with their flagship Droplet 5.0 turntable being awarded an Enjoy the Music.com Best of 2005 Blue Note Equipment Award. Pictured here is the Shengya A-206 dual mono Class A or Class A/B switchable integrated amplifier ($2450). The A-206 produces 20 wpc in Class A, yet in Class A/B mode can output a hefty 200 wpc. The preamplification section includes a proprietary high-speed DC chip, which is the result of Shengya's 16 years of research and development. A large 500 watt shielded transformer, 80000 uF MKP filter capacitors and 16 high-power transistors ensure the unit will always have enough electrical power to drive the unit. The dual mono design help the unit to produce a very wide channel separation. Frequency response is from 10 Hz to 20 kHz (±0.5dB), dimensions are 18 x 8.5 x 20.5 (WxHxD in inches) and it weighs an impressive 68 lbs. Note that a remote control is included. Enjoy the Music.com has reviewed the Consonance Cyber 10 multi-functional tube amplifier (click here) and their award winning Consonance Cyber 211 monoblock tube amplifier that can be seen by clicking here, with a follow up that is at this link. Audio Excellence Az's audioharma Cable Cooker Standard version and Pro version ($689 and $799 respectively) have been upgraded, and now includes new Extended Frequency Sweep (EFS) circuitry ($75 for upgrade to previous owners). This unit is said to greatly improve the sound quality of all forms of interconnects, loudspeaker cabling and power cabling beyond that of normal break-in cycle. The unit exposes cables to a more extreme signal levels and a special waveform that does not occur in normal system operation, with 1 watt for interconnect and 22 watts for loudspeaker and power cabling. A highly dynamic extended-frequency sweep is sent through the cables to achieve the desired affects. With the new EFS circuit, the swept square wave now starts at 0 VDC and is calibrated at just over 40 kHz whereas the previous sweep started at just below 40 Hz and reached 18.5 kHz. Enjoy the Music.com has reviewed the audiodharma Cable Cooker Pro Version 2.5, which can be seen by clicking here. The Boston Audio Society (BAS) will have a meeting Sunday, February 15 at audiophile and Grammy Award winning engineer Bob Ludwig's Gateway Mastering studio. Held from 2:00 through 5:00 pm at 428 Cumberland Avenue, Portland, ME 04101, mastering engineer Bob Ludwig will allow attendees to get a chance to view some of his mastering tools as he also discusses his craft, the evolution of modern audio mastering from its beginnings to its current state and much more. Throughout his career, Bob Ludwig has mastered recordings in all formats for all the major record labels, and on projects for many important artists such as Radiohead, Jimi Hendrix, Paul McCartney, Madonna, Eric Clapton, David Bowie, Rolling Stones, Kiss, Queen B, Mariah Carey, Bruce Springsteen, U2, Metallica, Rush, Led Zeppelin, Nine Inch Nails, Tool, Pearl Jam and The Who. After the meeting some, members of the BAS plan to have a dinner at one of Portland's fine restaurants, Fore Street (207) 775-2717. You can read a sample of the many great articles provided by the Boston Audio Society here on Enjoy the Music.com by clicking here. Celebrating 47 years of audio excellence and producing both consumer and professional audio devices, Audio-Technica now offers their AT-PEQ3 ($119) moving magnet (MM) phonostage. The AT-PEQ3 is a mere 2.75 x 1.18 x 3.6 (WxHxD in inches) and utilizes high-quality audio integrated circuits, good quality internal parts and connectors to achieve a high value for the dollar device. The RIAA stage is very accurate to allow for proper equalization from a turntable to then feed either a preamplifier or integrated amplifier. An external 18 Volt power supply helps to keep the supply noise away from the critical analog stage. Enjoy the Music.com now offers a world premiere of the March 2009 edition of The Absolute Sound (Issue 191) featuring the complete table of contents and complete editorial! This edition features a special focus on analog gear with reviews of turntables, phonostages and related products plus equipment reviews that include KRK monitors, Cerwin-Vega CLS-215 speakers, Esoteric's A-100 tubed power amplifier... and more. Within this issue's editorial titled TAS On-Line Robert Harley says "I hope that many of you have visited our completely new Web site, theabsolutesound.com, and that you find its new layout, features, and content useful. The new site features regularly updated news stories, blogs by Neil Gader, Jonathan Valin, and me, and full reviews of more than 1000 products. We're updating the existing review database and adding products all the time, so keep your eye on this tremendous resource as it develops into an indispensable shopping guide...." You can see the table of contents and read the complete editorial by clicking here. Kharma is now shipping their fully balanced Matrix P1.0 stereo preamplifier (4500€). Operating in Class A, the signal path has no coupling capacitors and specially selected non-magnetic 0.5 percent tolerance resistors. The output level is controlled by a high quality motorized potentiometer while the Matrix P1.0 preamplifier's power supply uses unique filter capacitors, specially designed for Kharma, to assure optimum noise reduction. 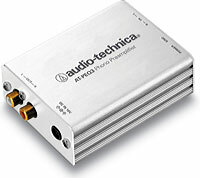 Inputs include one stereo balanced (XLR) and three stereo RCA. Outputs are stereo and both XLR and RCA. Maximum gain 18dB (2.4 Volt). Enjoy the Music.com has posted Part 4 of photojournalist Rick Becker's CES / THE Show 2009 report. This update spans two pages and features many new products with photos and in-depth descriptions. You can see Rick Becker's Part 4 of his CES / THE Show 2009 report by clicking here. Nagra, a Swiss brand of high-end audio and recording studio products, now offers their Bipolar Phono Stage (BPS, $3000). The reduced size of the Nagra BPS phono preamplifier is the result of using completely solid-state technology, less costly to implement than Nagra's valve phonostage version. The BPS electronics consumes so little power that it operates for approximately 100 hours on a single 9-volt battery. Due to using a battery power supply, there is no need for a costly external power supply that is complex to manufacture. The Nagra BPS enjoys an attractive positioning thanks to a simplified approach as regards functions. Nagra however retained the popular load adaptation found on the VPS model, which uses small plug-in modules to attain the desired matching between the phono preamplifier and the specific cartridge. Nagra's BPS supports either moving-coils (MC) or moving-magnet cartridges (MM) by means of appropriate switching. Assembled on a single motherboard, the electronics use exclusively discrete and military-type components (JAN standard). The amplification is provided by selected and matched bipolar transistors. The capacitors on the signal path are of audiophile quality and the precision resistors are MELF (Metal Electrode Leadless Face). The MC input transformers are designed and wound by Nagra. All components are housed within a Nagra style brushed aluminum case. Wadia just announced that for a limited time they are offering upgrades from Series 5 CD players to the 781i CD player at a reduced cost. The 781i CD player features several new and exciting technologies and improvements. The noise floor has been reduced through the adoption of two new power factor corrected and inductor filtered multi-channel power supplies for both the digital and analog sections of all circuits. The new power scheme ensures smooth charging of capacitors and eliminating noise spikes from the ground plain. 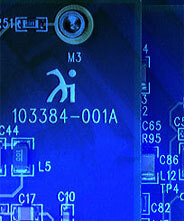 There is a fully regulated separate power supply for digital processing, clocking, D>A conversion and the output stage. Every performance component is powered by regulated isolated power traces. Silent pure power is delivered with speed, thereby allowing for improved reproduction of transient information and creating a sense of effortless unlimited power. Further improvements include new power supply capacitors on the main decoding circuit custom designed specifically for the 781i. Finally, a software update completes the enhancements to the 781i CD player. Wadia has also extended their audiophile lineup with a new 381 integrated CD player, 571 CD transport and flagship 922 Decoding Computer ($6,950, $7,950 and $33,450 respectively). Wadia's new 922 Decoding Computer continues the company's tradition of establishing new standards for home audio reproduction. This flagship model features no fewer than six power supplies each for digital and analog audio circuits, benefiting from Inductor Filtering and Power Factor Correction balanced power technologies devised by Wadia. The components on the main decoding circuit have been upgraded, and the 922's mono architecture features eight D-A converters per channel. Wadia's most powerful DigiMaster 1.4 up-sampling algorithm provides a 2.8224MHz data rate with 26-bit resolution from a standard CD, which is said to result in nuance and detail that will delight the listener. The new Wadia 381 CD player offers the same features and performance as the company's 581se minus SACD playback. For listeners that prefer CD separates, Wadia's new high performance 571 CD transport features a patented clamping technology for the utmost in stability and precision with disc playback. It offers resolution enhancement that produces a 24 bit signal to the Decoding Computer for Wadia's storied digital audio retrieval. Multiple outputs ensure compatibility through ST and TOSLINK fiber optic connections, as well as BNC connectors for S/PDIF signals and XLR ports for AES/EBU gear. Infinity is now shipping their Prelude Forty loudspeakers ($12,000 per pair) that uses proprietary Maximum Radiating Surface (MRS) flat-panel drivers. Four MRS flat-panel midrange drivers are constructed using proprietary Ceramic Metal Matrix Diaphragm (CMMD) material, which is manufactured by anodizing a ceramic compound to both sides of a flat-panel aluminum core. This technique produces driver diaphragms of ultralow mass and ultrahigh rigidity, yielding superlative resolution and transient response. The MRS driver's flat-panel construction enables it to operate more like an ideal pistonic radiator, which the company claims offers "more accurate time alignment than that provided by cone loudspeakers, for exceptional clarity and image specificity." The Prelude Forty features a CMMD tweeter with frequency response that extends beyond 40kHz and operates in conjunction with a patent-pending Constant Acoustic Impedance (CAI) waveguide, which utilizes a series of computer-designed curves that flare from the inside to the outside of the waveguide to provide optimal on- and off-axis high-frequency dispersion and smoothness. For bass, the Infinity Prelude Forty employs dual 8-inch CMMD woofers that are placed opposite each other in a side-firing arrangement. Polk Audio's PSWi225 wireless subwoofer ($399) is for those who desire low frequency response without connecting a signal cable. The PSWi225 uses reliable 2.4 GHz wireless transmissions to deliver 40 Hz to 180 Hz response from anywhere in the room, and mates with any audio system by way of a simple pairing action. Thanks to its compact 12.5x13x12.5 size, the enclosure features a rugged Long-throw Dynamic Balance co-polymer driver with Butyl Rubber surround for maximum performance and reliability. Stiff internal bracing and non-resonant heavy-duty MDF construction delivers effortless bass that's deep, musical and distortion-free. An active crossover system lets the user tailor the response to any sound system. A built-in amplifier provides 100 watt of audio power. The unit includes a 1 year warranty or parts and labor, three years on the woofer driver. Bang & Olufsen's BeoSound 5 homewide digital audio system (starting at $5900) can enable users to supply music throughout their entire home. The new system includes the BeoSound 5 master unit and the BeoMaster 5 socket unit, with options being a floor stand, a table stand or wall bracket ($500, $250 and $100 respectively). The BeoSound 5 is like many other systems, such as the recently reviewed Sonos system (click here) or the Slim Devices Squeezebox 3 network music player (click here), where ease of use in providing instant access to one's music collection. Its user interface presents an overview of the user's music while the remote's physical elements includes an aluminum wheel and tactile buttons with virtual ones such as a laser pointer and a specially-developed graphical user interface on a high-quality 10.4-inh LCD display. While the aluminum wheel lets one scroll swiftly through their music collection and internet radio stations, the user interface combines graphics and mechanics to provide an easy way to view and navigate large amounts of content. With BeoSound 5, a More Of The Same (MOTS) intelligent playlist technology employs an algorithm that automatically captures the unique musical identity of a track and then builds a playlist of similar music. B&O's BeoSound 5 stored digital music files, covers and internet radio stations on a separate socket unit that can be placed out of sight. Storage space capacity is a low 500 GB as compared to many TB of data as available from systems that employs NAS hard drive systems. Furthermore, the B&O system hard drive is not operated in RAID, a system where data is constantly backed up in case of hard drive failure, so if your B&O socket's hard drive fails you could lose all your music. The unit has connections for USB, HDMI, Ethernet, and both analog and digital (S/PDIF) output. Video connections for display purposes include DVI-I, YPbPr, S-Video and composite. The Veloce LS1 linestage ($12,500) uses a buffered tube gain stage tied to a flexible stepped attenuator for high-end audio sound quality. The power for the audio circuit is provided by batteries — pure DC at 240volts — thereby isolating the critical audio signal from AC mains. The Veloce LS1 is a two box design with charger and supply separated from the analog stage. All panels on the unit's case, save the top and bottom clamshell, are made from stress relieved 6061 aircraft aluminum. The front panel is two piece affair comprising of a highly polish front bar mounted to a grained and anodized back plate. Inputs include five via RCA and one via XLR, with outputs being either RCA or XLR. Tube compliment is a pair each of a 12AU7 and 12AT7 dual triode tubes, while volume control range is 62dB in 60 steps. Frequency response is a wide 10 Hz to 45 kHz with THD+N of <0.03 percent. The unit will operate on battery power for approximately 100 hours between charges. HDtracks.com welcomes CSO Resound / Chicago Symphony Orchestra to their digital music download offerings. Founded in 1891, the Chicago Symphony Orchestra is consistently hailed as one of the greatest orchestras in the world. Live performances by the CSO are much in demand at home and in the best musical venues around the world. In collaboration with the best conductors and guest artists on the international music scene, the CSO performs well over 100 concerts each year at its downtown home, Symphony Center, and at the Ravinia Festival on Chicago's North Shore, where it is in residence each summer. Music lovers outside Chicago enjoy the sounds of the Chicago Symphony Orchestra not only through best-selling recordings, but also frequent sold-out tour performances in the United States and around the globe. Since 1971, the CSO has undertaken 32 international tours: 24 to Europe, five to the Far East, as well as one each to Russia, Australia, and South America. Since its first release in 1916, the CSO has amassed a discography numbering more than 900 titles, one of the most expansive and illustrious catalogs of any international orchestra. Recordings by the CSO have earned 58 Grammy Awards from the National Academy of Recording Arts and Sciences-more than any other orchestra in the world. HDtracks.com is among the first online music distribution services which offer DRM-free audio downloads in high-resolution formats, including 24-bit/96kHz, 24-bit/88.2 kHz, 16-bit/44.1 kHz as well as FLAC and 320 kbps mp3 file formats. The downloads also include complete liner notes in a PDF format. This year marks TACET's twentieth birthday in offering excellent music and they are doing better than ever! Their joy of producing music is undiminished and from catalog no. 1 to the company's current Tube Only, TACET Real Surround Sound, Moving Real Surround Sound, and Dead or Alive releases are doing quiet well. New releases include The Auryn Series XIX Auryn's Haydn op. 74 & Joseph Haydn String Quartets ? Vol. 12 of 14 op. 74, nos. 1 - 3. The new string quartet release comprises four musicians, but strictly speaking eight "sound producers" because the string instruments have a strong influence on the overall sound typical of an ensemble, even on their way of playing and listening to each other. One of the marking points in the history of the Auryn Quartet was without doubt the moment when Matthias Lingenfelder got "his" Stradivari. Recently, Stewart Eaton too has been playing a new, very special viola (an Amati from 1616), and once again the "Auryn sound" has subtly and yet fundamentally altered. Another new release includes Ludwig van Beethoven Piano Sonatas op. 31 No. 1 G major, op. 31 No. 3 E flat major and op. 53 C major "Waldstein". Enjoy the Music.com's February editions of Superior Audio and the Review Magazine are now available! Within this month's Superior Audio we feature a world premiere not to be missed while the Review Magazine focuses on online music/music servers ! Birth of a high-end company. amplifiers are two building blocks for a world-class listening experience. The limitations may very well be your own room. An intelligent and reliable design. Of high resolution, bass definition, plus commanding weight and authority. 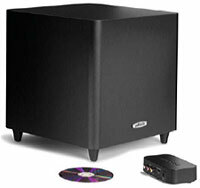 See the February 2009 edition of Superior Audio by clicking here. My journey in discovering computer and Internet music. Parts 2 & 3 now online! Music in its full, intended splendor. Great sound and ease of use within a homewide audio system. Upgrade your room and get to know your PEQ from your GEQ. From Telarc, a fine Vaughn Williams program. Rock, Pop, Funk, Techno, Punk, Metal, Etc. See the February 2009 Review Magazine by clicking here.